When you read about the specifications that the Force1 F100G comes with, the first thing that pops into your mind is… what an appropriate name for a drone! But this drone packs much more than a good name. 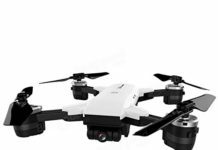 It also lacks some of the features that you have been used to in many other drones. Also called the F100 Ghost, it has a GoPro mount, so if you have a GoPro camera, this drone is a good deal. 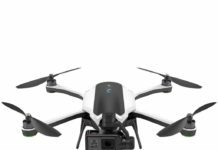 Whatever type of outdoor camera you want to use with this drone, you will get it from GoPro. Just make sure it is compatible with the drone. 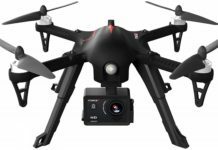 But first, read this Force1 F100G review to see why you should buy this drone and what it can do, despite its price being so affordable. As for the build and design, you will notice that this drone has many protective features. They include the high legs, which ensure that the camera stays out of the way when landing. Then there are the propeller guards which will ensure safety if the drone lands fast. FPV (First Person View) goggles remain an important part of the FPV equipment. FPV racing has become a very popular phenomenon today. As a result, we can actually see the introduction of new FPV goggles almost every other day. And, why exactly are these googles considered an important part of your FPV flying experience? It’s because you need to view the obstacles very clearly in real time (i.e. while flying) and react to them fast and efficiently. Here is where you need perfect video transmission. A pixelated video isn’t really of any help here. Choosing the right FPV googles will help you fly uninterrupted (as far as dodging the obstacles is concerned). FPV Goggles: How do they Work? Now, it is important to understand the basics of FPV goggles before finding out which product you should choose as a beginner. Now, these goggles work by displaying live video from the camera on the aircraft. A pair of goggles might as well have one or two screens (that display the video) depending on the type of goggles that you are wearing. The pilot who is controlling the drone from the ground needs to see what exactly the quadcopter is seeing. Are you new to flying drones? If yes, then do make sure that you are acquainting yourself with the ways to select the right goggles for flying drones. Holy Stone is not a new name in the market. Over the time that they have been making drones, they have made quite a name for themselves. If you have been following them, you must have come across the stunning HS181, or the HS110. Even if you haven’t, well, should you buy the HS120D, you will be in for a great run. And you will have great value for every dime that you spend on it. 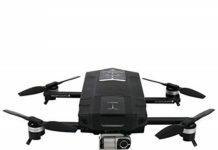 On the Holy Stone website, the HS120D is classified under medium-sized drones. Actually, it is the first one of the medium-sized drones. You will definitely love the Le-Idea L7 for its looks. It looks quite rugged and handsome in its orange and black color combination. 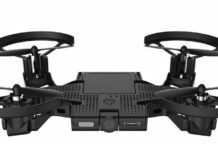 But how it looks is just one of the factors that you will consider if you will buy it, because this drone also has many features. 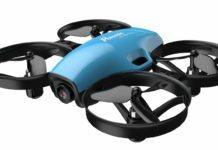 It is a foldable and lightweight drone, sold with a soft carryon case, you will love traveling with the drone. You will love its performance even more! 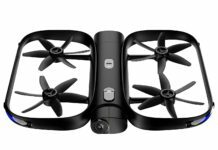 Information has it that this drone was modeled after the DJI Spark. There is some resemblance, but when you go for it, you buy it for what it is. One would think that a brushless motor drone would cost a higher price. However, that is not always the truth. 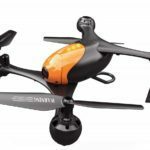 In this EMAX Tinyhawk brushless drone review, you will see just what value you will be getting for your money. 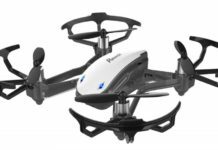 With a very affordable price that will not put a dent in your wallet, you can own this drone, and have some good fun out of it. This is a small drone, actually, it is a micro drone. But do not be deceived by the size, just try it. It is a very fast drone because it can fly at a maximum speed of 56km/h. Weighing just 42 g when the battery is fixed (29 g for the drone alone), you do not need to register it with the FAA. Just buy it and fly.